Judy Colbert is an award-winning author/photographer who has written extensively on Maryland and the Chesapeake Bay area. With more than fifteen regional and travel titles under her belt, she has served as a travel expert on Good Morning America, Arthur Frommers Travel, and many other radio and television programs. A member of the Maryland Writers Association, Colbert contributes travel articles to Free Fun Guides in San Diego, Portland, San Francisco, New York, Los Angles, and Orange County. She is also a frequent contributor to the Howard County Times and the Fredericksburg Free Lance-Star. Colbert is a member of the Screen Actors Guild and the American Federation of Television and Radio Artists. 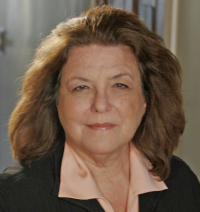 She did principal and background work on Homicide: Life on the Streets, The Wire, Americas Most Wanted, and dozens of other movies and television programs. Thinking of herself as a messenger, Colbert loves to find interesting facts and call attention to them. Growing up in a modified kosher home, she didnt eat crab at all until her twenties and says she is making up for lost time. She lives in Crofton, Maryland.